I bet if you have been to Fred before you have heard of Hondo's. It is on the West side of Main St. in one of the neatest old spots in town. They have an AWESOME patio for live music and they even close it in and heat it up in the winter so you still get that outdoor feel. To me when I think Hondo's my mouth starts watering for three things: 1. margarita 2. blue ribbon bbq bacon burger 3. queso. Yep...mouth watering! The food there is great, the ambience is spectacular...and on a nice evening with some live music you just can't beat it. I almost have a hard time telling y'all about Sunday brunch because I want to keep it a secret...BUT on Sunday's there is the best rootin' tootin' Sunday band playing AWESOME gospel tunes...starts at 12:30...ok secrets out...you will be shocked that you haven't ever been there after going once! Gourmet German bistro...what more could you ask for when coming to Fredericksburg? From flat breads with an array of cheeses melted on top, the flammkuchen, to the mouth watering famous duck schnitzel...this place will blow you away. Their menu changes weekly so if you are coming back at another time they will have a whole new set of delicious items inspired by what is in season...so don't miss out! Chef Adam Yoho puts passion into the food that you can almost taste...he smokes and cures his own meats and I order the Wurst Plate of handmade sausages every time I go without even looking at what kind they are that week. I can't write about Otto's without mentioning the owner and bartender, John Washburn, whose creative genius behind Otto's makes me want to go back every night...literally. Delicious creative cocktails, hand picked wines, and studied beer selection make this bistro a full dining experience. Oh and did I mention that their eastern European inspired pastries are so good I dream about them...the Cambazola Cheesecake is literally one of the best desserts I have ever had. 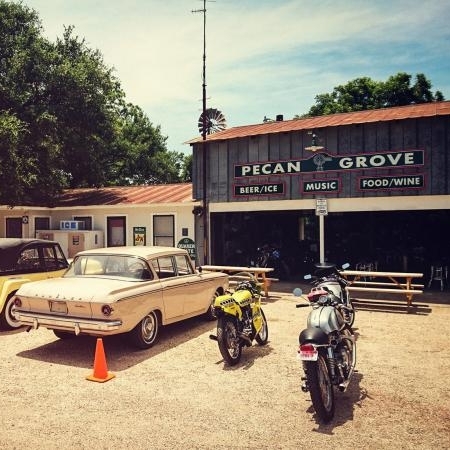 Pecan Grove has my favorite burger in town. It’s simple but it’s delicious and juicy and I love sitting under the pecan trees at that wonderfully unique establishment enjoying their Dino Burgers. They serve them on Thurs-Sunday 12-8. Caribbean fare, bocce ball, and a playscape for the kiddos makes for a pretty seriously awesome combo especially when you have little ones in tow. We head over to Tubby's at least once a week with the kids and we just love the atmosphere and the food. The seating is all outdoor and the food is mouth watering good. My fave is the loaded fries with chickpea curry and David is a Taco Tuesday guy (which they have every Tuesday evening from 4 until they sell out). There are a handful of interesting beers on tap, the wine list is wonderful, and you can get a delicious popsicle for dessert...what more could you ask for?! Vaudeville's venison reuben with brussel sprout kraut or the french dip on a homemade roll is one of the hardest decisions to make when eating out at this artful spot. Sometimes I feel like I am in a gourmet big city bistro not in little ol Fred...but alas this is what makes Fred so very special. Chef Jordan Muraglia's amazing talent in the kitchen and artist Richard Boprae's eye for interiors, art, and bubbly charm create a place you just don't want to leave. When Sally was a newborn I couldn't help but call a friend almost every day and have coffee with a warm mini flaky quiche for a little bit of morning wonderfulness. The Monday night supper club will literally blow your mind. Chef Jordan puts out a delectable dinner with a reasonable fixed price menu that changes weekly. A piece of advice...get your reservations in advance these dinners sell out fast! I love Chef Jordan's culinary skills so much that I follow Vaudeville on instagram and get a delicious peak at all of the tasty dishes he is creating. They are also open Friday and Saturday night for pizzas from their wood burning oven and a small selection of other delectable little plates. Makes for a great date night and has a more casual feel than the Monday night supper club. Any night at Vaudeville would be a great night!!! August E's takes you to another place...you are not in Fredericksburg anymore. It feels like you are in a city's modern restaurant but with much quieter music and the feeling of space to breath (thank goodness). A great city like quality is their star quality sushi. Having fish flown in daily from all over the world to make deilcious super fresh sushi is something I don't think many small towns can say they have. Man I am thankful for August E's. I love being able to get sushi...living in a small town would be really tough without sushi...yes indeedey. 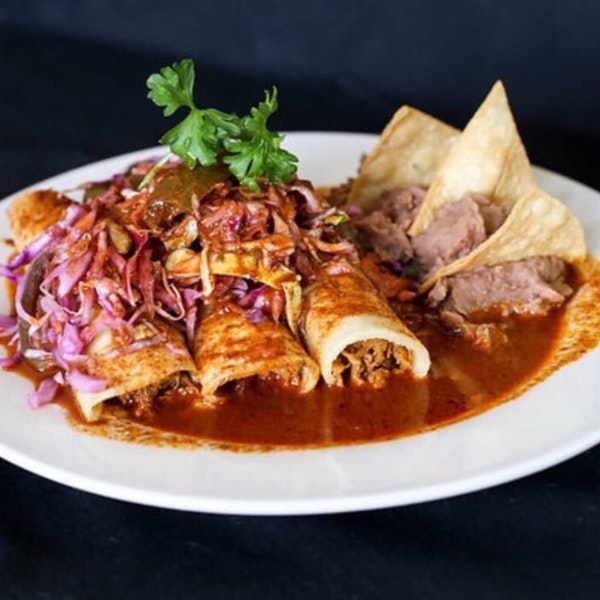 But enough about the "sush"- there is so much more...the owners at August E's also strive to use local meats and produce as often as they can and have a menu of wonderful salads, texas inspired entrees including some game meats, and classic desserts. My go to order is some yummy sushi and the citrus truffle salad with goat cheese, organic butter lettuce, strawberries, and their to die for citrus truffle dressing. The Peach Tree has such a special place in my heart. To me it represents old Fredericksburg. It is a place where memories are truly made. I know sounds cheesy...but it is true! Open for over 30 years, the Peach Tree has served Fredericksburg in so many ways. The creativity behind this special spot, Cynthia Pedregon, was a woman that I loved so very dearly and look up to in SO many ways. She was creative, she was a foodie, she was soft spoken, she had a sense of humor, everything she touched became beautiful! Her cookbooks are famous all over Texas and there is a reason for that...the recipes are delightful and literally cheerful. When you eat one of Cynthia's recipes it really is like eating a lovely plate of cheer. At the restaurant the freshly baked bread is perfectly accompanied by two yummy morsels of heart shaped butter and yes there is a heart on the delicious chilled avocado soup too. Cynthia was a pioneer when it came to farm to table cooking as well. When I worked there for her I remember her driving to local farms and picking up fresh produce to use for her blackberry cobblers, her straight off the vine tomatoes in the house salad, and the local peaches she used to make cobbler and ice cream. She cooked everything from scratch and believed in supporting the local agriculture right outside her door. She even had her very own garden at her home, which is right next door to the Peach Tree, where she grabbed herbs or edible flowers to make a dish even more special. After Cynthia's passing from cancer, her sweet daughter, my aunt Tina Sawtelle, and Cynthia's husband, Hector, run it together. They do a great job continuing Cynthia's dreams and creating an environment that is cheerful...just the way Cynthia would have liked it. When I go I can't help but get the special quiche, the soup, or the special entree...I know it's a tough decision because they are always SO good. I can't say no to a refreshing glass of iced lemon orange tea, and the house salad...with the secret recipe dressing...yep...I can't go to the peach tree without it. Oh...not to mention the COOKIES...famous around town...these cookies will knock your socks off. Don't forget to get a cookbook or take a peak at one when you go!! This spot is truly special and I know it will be so very special for you too! Sandwiches, a daily soup, delicious cookies. You can’t go wrong at Vaudeville. Emma and Ollie is Rebecca Rather, the pastry queen’s, newest venture and boy is it amazing! Freshly baked morning treats like cinnamon rolls and bacon cheddar scones…they even have homemade poptarts are available all day and the lunch menu will knock your socks off. My personal go to is the Pimento Cheese Burger with onion jam without the bun and on a bed of lettuce. YUM! Tubby's for lunch is just like Tubby's for dinner but without Taco Tuesday. There's still bocce ball, a playscape for kiddos, outdoor seating, and delicioso Caribbean fare. AND yes popsicles too! This is our sweet little neighborhood organic grocer. They have natural lunchable options as well as kombucha and other drinks for a quick snack. Sometimes we go in for crackers, a couple of almond butter packets, and a topo chico or two and have the fixings for a simple little picnic. Hondo's has the same menu for lunch as it has for dinner and it's a great assortment of burgers, salads, and bar foodish apps. It's a great casual quick lunch spot. Hilltop's lunch menu is delightful. It's full of delicious sandwiches and lunch plates that stick to their merging of greek and cajun flavors...yum! Woerner's used to be my favorite feed store...now it is my favorite feed store with a cafe...double bonus!! The food here is delicious AND is made using lots of fresh local organic ingredients. Not only do the sweet owners strongly support local farms, they do a great job putting together some awesome sandwiches and salads with all of that yummy produce...plus the special soups...yum! I go there and EVERY TIME can't help but get the Turkey Bird sandwich...it's so good I have to order it and something else when I want to try something new...I just can't pass up the "bird". They sell local, Josh Rymer's, delicious homemade bread and do a great job making some crazy good pastries. I also have to mention the "country market" that fills the shelves...imported olive oils and vinegars, specialty crackers, and local grass fed beef in the freezer...now I call that a pretty sweet country market! Breakfast consists of homemade croissant popovers with egg and ham or homade granola and even some pipin' hot oatmeal to fill up the tum tum. Word on the street is that they may even be opening for weekend dinners...I think I might have heard something about pizza too?! I'll keep you posted! But for now enjoy lunch and if you need some feed...yep, they still carry it! There will be pizza, live music, and beer for all!! All hail the establishment that created the burger that was on the cover of Texas Monthly. This is a great dive burger spot that is a long but beautiful drive from town. Don't expect any organics or local ingredients but do get ready for a delicious juicy burger. I recommend the Texas Monthly burger...of course. Just a little FYI...Alamo Springs Cafe is right next to the bat cave...so there's that too! I LOVE Otto's brunch! Reasonably priced and a special feeling meal make for a great Sunday brunch combo. We LOVE Nury's!!! My go to is the chilaquiles and if the kids are wild and crazy we order it to go and take it to Marketplatz or the gazebo + park by the library for a picnic. 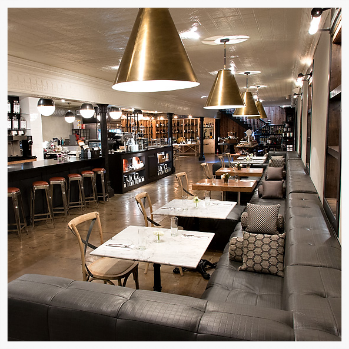 Vaudeville has two great options for Sunday brunch. They have a fancier version that is absolutely delicious on their lovely patio and then there is the more casual "Sunday lunch special", which is the most yummy buttermilk fried chicken with seasonal sides, downstairs in the bistro. You can't make a bad decision there...either one you will enjoy! If you are looking for a simple very casual breakfast this is where I would send you. It's not the best food in the whole world but it's a good simple old fashioned breakfast. You must order the German pancake and meet the sweet local war vets that meet there every morning at 7.